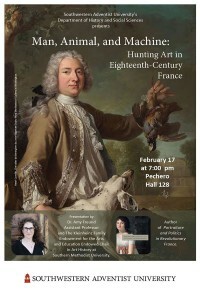 Southwestern Adventist University Department of History and Social Sciences will host a lecture entitled “Man, Animal, and Machine: Hunting Art in Eighteenth-Century France,” on Tuesday, Feb. 17. It will be presented by Dr. Amy Freund, chair in art history at Southern Methodist University in Dallas. Freund is a specialist on eighteenth-century French art. 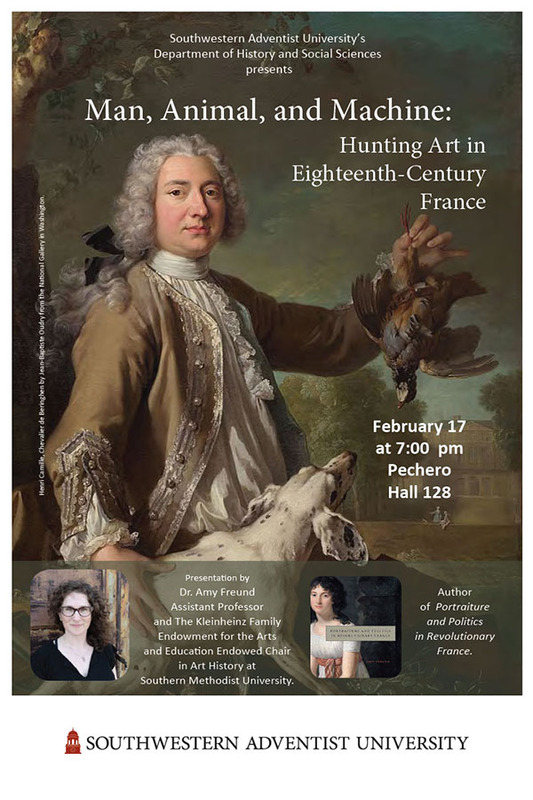 This presentation will be on the heels of her recently published book, Portraiture and Politics in Revolutionary France. This is a free event and is open to the public. It will start at 7 p.m. and will take place in Pechero Hall room 128.